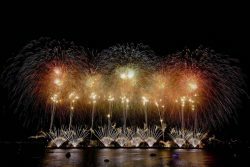 Get ready for a spectacular November in Niagara Falls as the city gears up to host the Cascades of Fire International Fireworks Competition as part of this year’s Winter Festival of Lights. The competition will feature six 18-minute fireworks shows over the Horseshoe Falls, synchronized to music that can be heard on Star 102.5. A panel of judges will rate each show and awards will be presented to the winners at the event’s closing ceremonies on November 18. Cascades of Fire is taking place over two weekends (November 9 – 11 and November 16 – 18). Six international teams will be competing including China, Finland, Brazil, Vietnam, Italy, and Canada. All shows start at 9pm. Awards will be presented by the Mayor of Niagara Falls at the closing ceremony on November 18. Team Canada will be hosting the competition’s finale on November 18. You can find some of the best views of the fireworks shows from a Fallsview guestroom at a Niagara Falls hotel and experience an unforgettable spectacle over one of the world’s most beautiful natural wonders. Niagara Falls Winter Festival of Lights. Winter is a spectacular time to plan a getaway to Niagara Falls as the city transforms into a winter wonderland during the annual Niagara Falls Winter Festival of Lights. 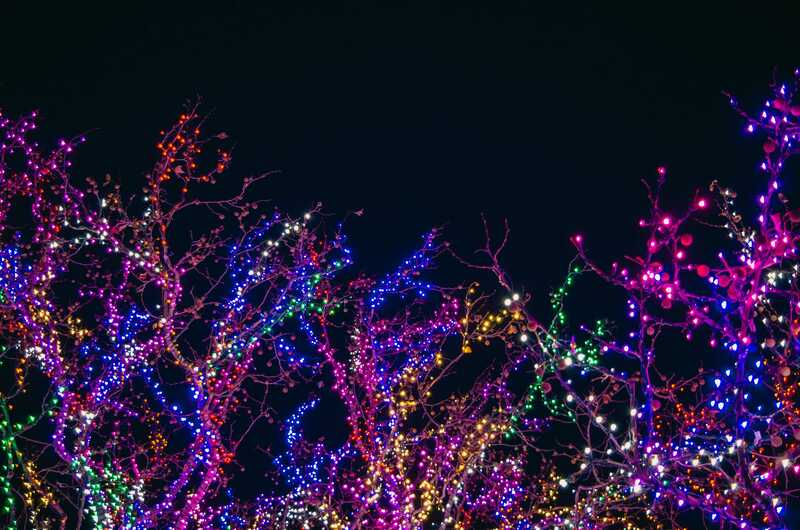 From November 3 to January 31, the parklands surrounding the beautiful Niagara Falls are illuminated in millions of lights and spectacular illumination displays placed along an 8km route. There’s also a number of events taking place as part of the festival including Deck the Falls, Cascades of Fire, and New Year’s Eve in Queen Victoria Park. And after the ceremonies, make sure to check out the spectacular lights set up along the festival’s 8km illumination route. Clifton Hill featuring Teenage Mutant Ninja Turtles light displays. Dufferin Islands featuring 3-D Canadian wildlife displays, Inukshuk displays, and an illuminated water fountain. Fallsview District featuring the Passage light tunnel, Prismatica art exhibit, and the Fallsview Sound & Light Show. 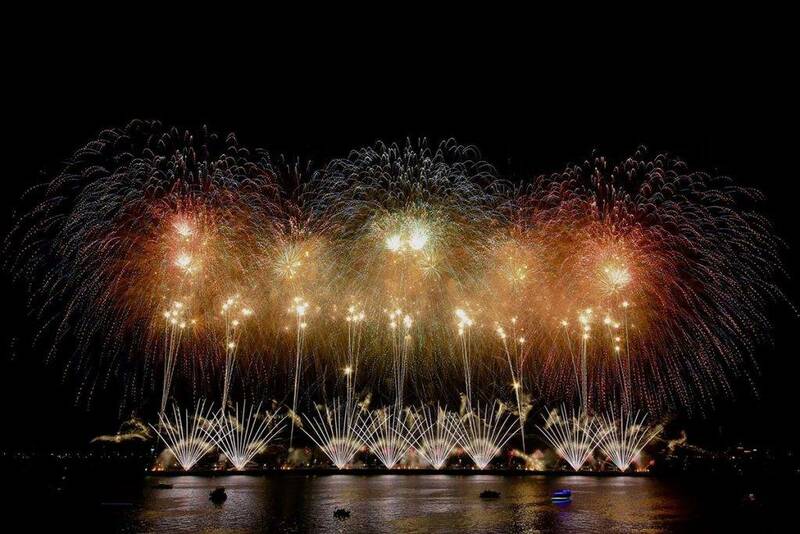 Team China – Cascades of Fire Fireworks Competition. This November, Niagara Falls will be hosting the 2018 Cascades of Fire International Fireworks Competition as part of the Niagara Falls Winter Festival of Lights. Teams from countries all over the world present 18-minute pyrotechnic shows synchronized to music, which are then reviewed by a panel of judges. Awards will be presented at the event’s closing ceremonies scheduled for Sunday November 18th. At the end of each show, a judging panel will rate the performance and awards will be presented by the Mayor of Niagara Falls at the closing ceremony on November 18th. Team Canada will be hosting the competition’s finale on November 18th. Shows can be viewed from along the Niagara Parkway, at Table Rock Welcome Centre, or from a beautiful Fallsview room at a Niagara Falls hotel. 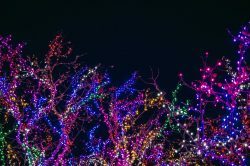 The annual Niagara Falls Winter Festival of Lights is an exciting holiday tradition that also includes popular events like the New Year’s Eve celebration in Queen Victoria Park and the Deck the Falls holiday walking tour. Experience all of the wonder and magic of Niagara Falls in winter and start planning your getaway today! There’s plenty of Niagara Halloween fun to be had throughout the month of October, so whether you’re looking for a kid-friendly celebration or an extra spooky spectacle, Niagara has just the event for you. Admission for this event is free for children 12 and under in costume and $17 for adults with the donation of a non-perishable food item. Located on the edge of the Niagara River in the town of Fort Erie, Old Fort Erie was the sight of Canada’s bloodiest battlefield and played a pivotal role in the War of 1812. Travel to the Fort this October to listen to ghost stories, learn about old Halloween traditions, and watch the burning of a Guy Fawkes effigy. There are three available tour times throughout the night, followed by the Guy Fawkes finale at 8:30pm and a classic Halloween movie screening at the fort’s theatre. The cult-classic Rocky Horror Show is coming back to Niagara Falls with performances from October 26th to November 3rd at the Oh Canada Eh? Dinner Theatre on Lundy’s Lane. This adult-only performance brings a Halloween favourite to life and raises money for community-based non-profit, Positive Living Niagara. Tickets for the show start at $29.95 and can be purchased online. Get a taste of fall at Niagara Brewing Company with their seasonal Pumpkin Spiced Ale, coming soon to the brewery’s rotating taps. And while you’re there, make sure to try the brewery’s Irish Ale, which just won gold in the Irish Ale category at the 2018 Ontario Brewing Awards. You can also experience Niagara Brewing Company beers at Oktoberfest on October 5th and 6th at the Scotiabank Convention Centre. Admission is free and the event will feature live music, great beer, and delicious German fare. 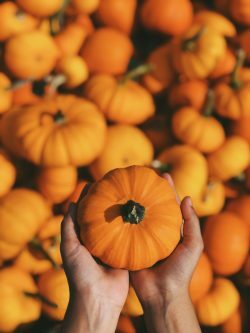 Experience Niagara Halloween fun throughout the month of October at any of these great events and destinations! A wine getaway in Niagara Falls. Looking to make the most of these last few weeks of summer with a getaway to Niagara Falls? 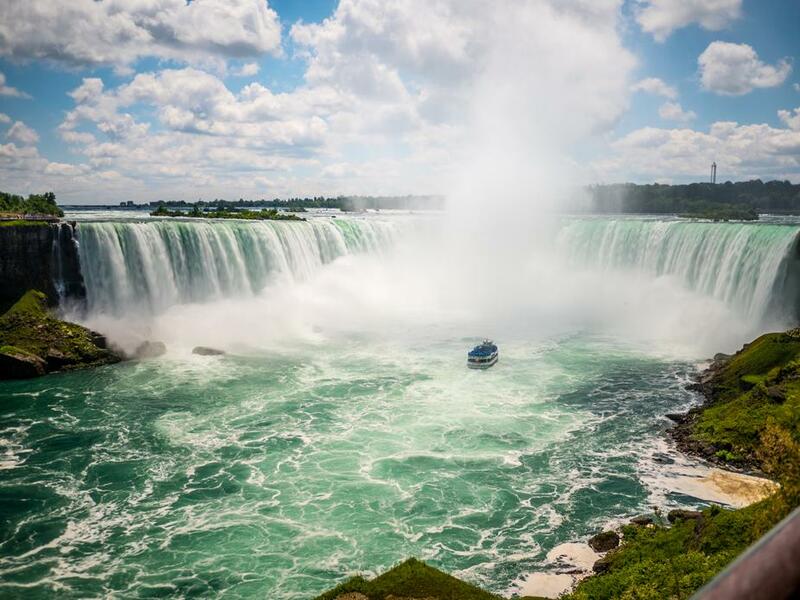 We offer a number of amazing Niagara Falls packages, which will connect you to the city’s best hotel stays, attractions, dining, entertainment, and more! Find the one that’s right for you and get ready for an end-of-summer getaway that you won’t forget. We offer Niagara Falls packages for every type of end-of-summer getaway, so book yours today to discover the beauty and wonder of Niagara Falls! Discover Niagara’s best ice cream. Ice cream and summer go hand in hand, and there’s no better way to cool down during a hot day of sightseeing than by enjoying a delicious ice cream cone. So on your next summer visit to Niagara, make sure to check out these amazing Niagara Falls ice cream spots. If you’re looking to up your ice cream game and try something completely new then Sweet Jesus is where you want to go. Located at the corner of Clifton Hill and Falls Avenue, Sweet Jesus uses high-quality ingredients to make innovative soft serve creations that you’ll have to see to believe. Krusty the Kone – A cotton candy lover’s dream made with vanilla soft serve, cotton candy pieces, cotton candy sauce, and rainbow sprinkles. Hella Nutella – An amazing combination of chocolate and vanilla twist soft serve, Nutella sauce, wafer cookies, Corn Flakes, and toasted pistachios. Birthday Cake – A celebration in a cone featuring vanilla soft serve, cream cheese icing, birthday cake bits, and rainbow sprinkles, all served with a candle on top. Sweet Jesus also offers dairy-free and straight up soft serve for people with dietary restrictions and for those looking to enjoy a more pared down cone. The Always Refreshing Soda Shop is also a unique Coca Cola collector’s boutique, so you can also shop for great merchandise and souvenirs while you’re visiting. Avondale Dairy Bar in Niagara-on-the-Lake has been a favourite among Niagara locals since 1955 for handmade ice cream, sundaes, and other cold treats. 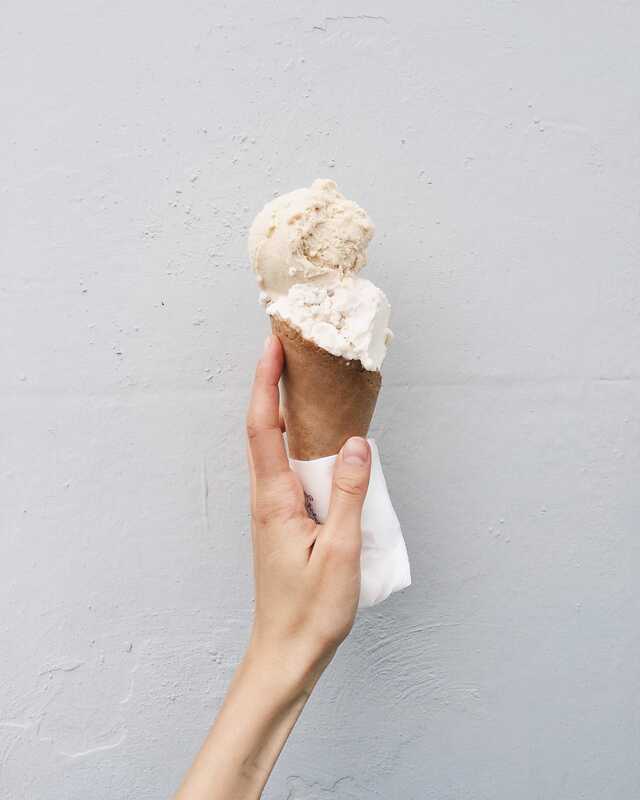 The ice cream is made fresh daily on the farm and can be enjoyed on picnic tables and swings surrounded by picturesque cornfields and vineyards. Satisfy your sweet tooth and discover all of the best Niagara Falls ice cream spots on your next visit to the city! Hiking in the Niagara Glen. 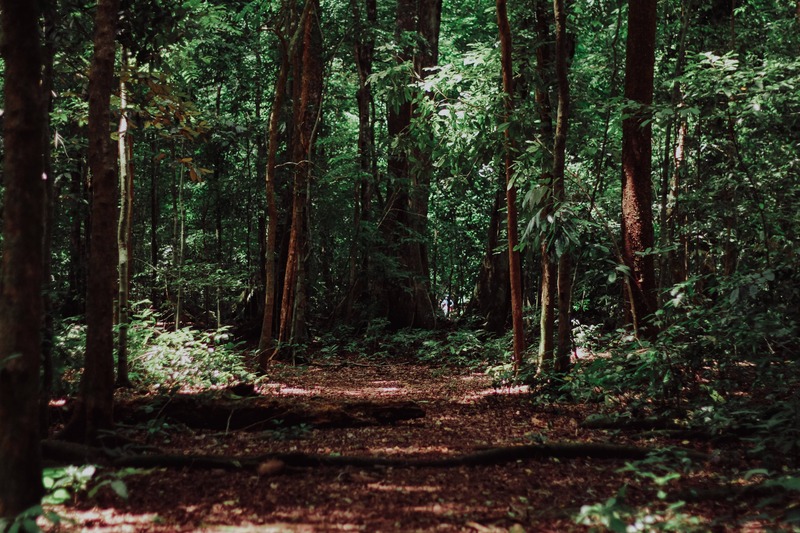 Niagara Falls is known for its magnificent waterfalls, but the area is also home to a number of beautiful natural areas that offer incredible sights and experiences, and are great places to enjoy Niagara Falls outdoor activities. Check out these remarkable natural areas on your next visit to Niagara Falls. The Niagara Glen is a beautiful nature reserve located in the Niagara Gorge that protects a pristine pocket of Carolinian Forest. You can visit the Glen and walk along the 4km of rugged paths to discover prehistoric geological formations, wild flora and fauna, and the rapid waters of the Niagara River and Niagara River Whirlpool. Stop into the Niagara Glen Nature Centre to book a guided hiking tour, register for a bouldering permit, or pick up a hiking trail map before you set out, and remember that all trails except the Whirlpool Trail are classified as “moderate” in difficulty, so remember to bring proper footwear and drinking water! The Niagara Parks Botanical Gardens is located along the Niagara Parkway and features 99 acres of beautifully-maintained gardens. 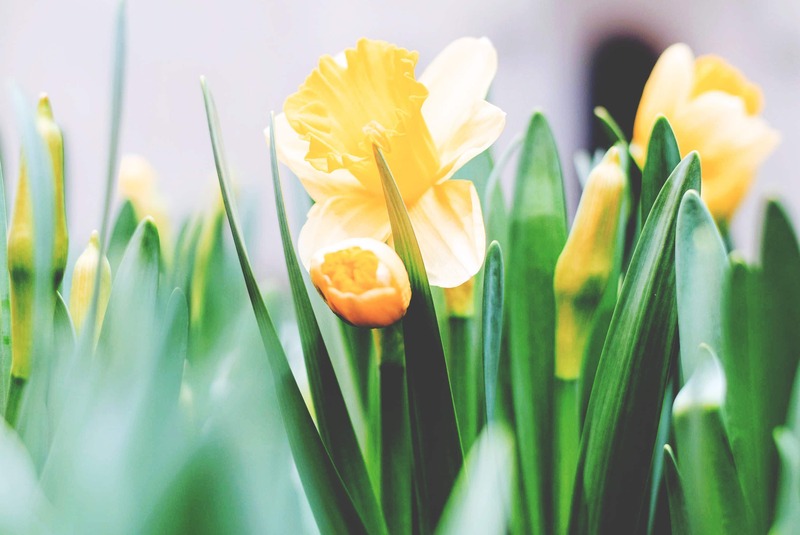 You can stop by to see the wonderful gardens of perennials, azaleas, rhododendrons, herbs, vegetables, and roses, and stroll through the grounds that are home to the renowned Niagara Parks School of Horticulture. And make sure to stop by the Floral Clock just north of the Botanical Gardens to see the intricate flower designs created with up to 16,000 carpet bedding plants on the clock face. Hike along the Bruce Trail this summer and experience Canada’s oldest and longest footpath. 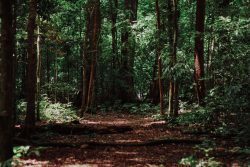 The main trail is more than 890 km long and has more than 400 km of side trails. It starts in Queenston, Ontario not far from Niagara Falls and follows the edge of the Niagara Escarpment, eventually ending in Tobermory, Ontario. 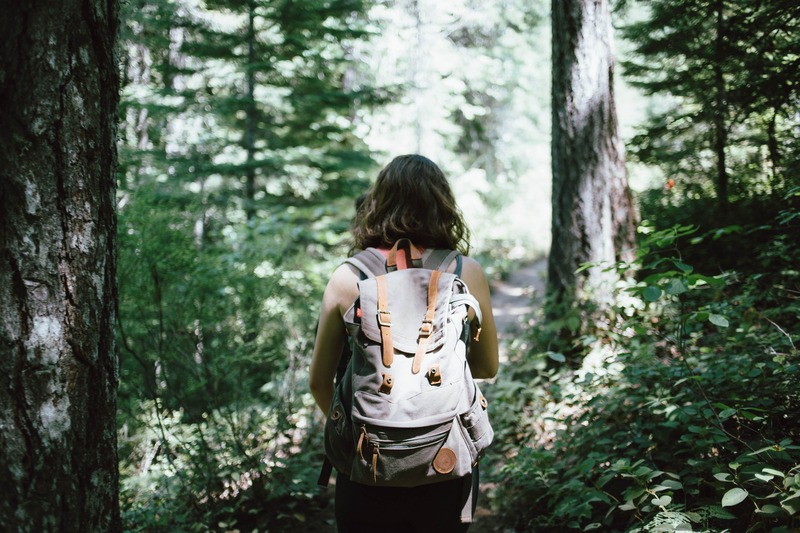 The trail offers a number of amazing day hikes and is a great place to get outdoors and discover the breathtaking natural areas of the Niagara Region. There are so many great Niagara Falls outdoor activities to experience this summer, so start planning your adventure-packed visit today! Fallsview dining at Prime Steakhouse. Father’s Day weekend is upon us and if you’re looking for some great places where you can spend time with Dad and treat him to a special day, Niagara Falls has you covered. With events, destinations, and activities for every type of dad, here are some of the best places to check out on a Niagara Father’s Day getaway. Grab a seat on the patio and raise your glass to dad this Father’s Day at Niagara Brewing Company on Clifton Hill. This innovative craft brewery just released a brand new Mo-Wheat-O wheat beer on their rotating taps and offers other awesome brews like Annie’s English Ale, Hennepin Stout, Marzen, Niagara Premium Lager, Beerdevil IPA, Honeymoon Peach Radler, and Amber Eh! Ale. And with two outdoor patios, live music, daily beer specials, and delicious food, it’s the perfect place to relax with Dad and enjoy Father’s Day in Niagara. The Niagara Region is home to a number of world-class golf courses that golfers of all skill levels can enjoy. So book a tee time and head out onto the green with dad for a one-of-a-kind experience in beautiful Niagara Falls. 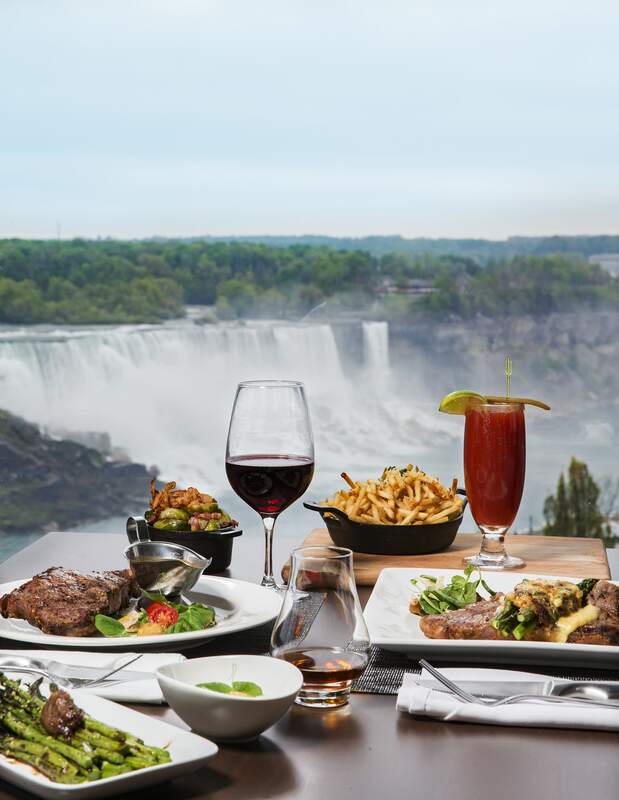 Prime Steakhouse – Niagara’s newest Fallsview dining experience – is offering a carefully selected 4-course Prix Fixe Father’s Day Menu for an unforgettable meal overlooking the magnificent Niagara Falls. 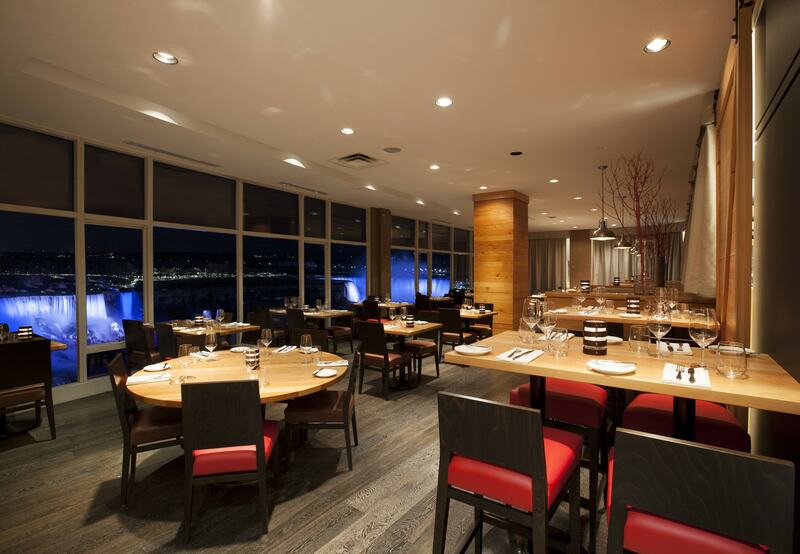 Located inside the Crowne Plaza Niagara Falls – Fallsview hotel, Prime Steakhouse is a unique dining destination that won’t disappoint. Celebrate dad with an incredible meal at Prime Steakhouse this Father’s Day. The 4-course prix fixe menu is $59 per person. Take in the sight of a fantastic fireworks show over Niagara Falls this Father’s Day weekend! 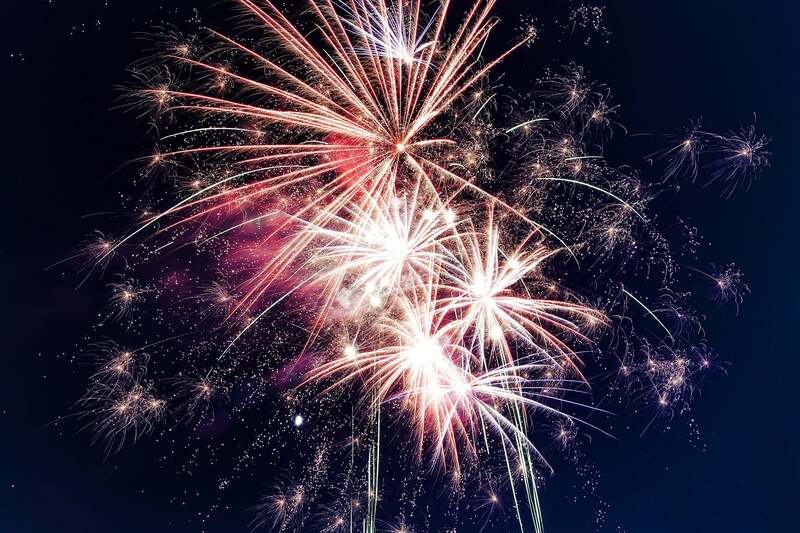 Fireworks shows will be taking place every single night this summer at 10pm and can be best enjoyed from along the Niagara Parkway, in Queen Victoria Park, or in a Fallsview room at one of Niagara’s top hotels. Amazing Niagara Father’s Day experiences are waiting to be discovered, so start planning your weekend getaway today! Each fireworks show will take place at 10pm and can be best viewed from the Niagara Parkway, Table Rock Welcome Centre, or Fallsview room at one of Niagara’s great hotels. Niagara’s annual Springlicious street festival is coming back to Queen Street in downtown Niagara Falls from June 1st – 3rd. This year’s festivities will include a Magical Midway Carnival, a number of food vendors, live entertainment from local Niagara musicians, and an artisan market of specialty goods. 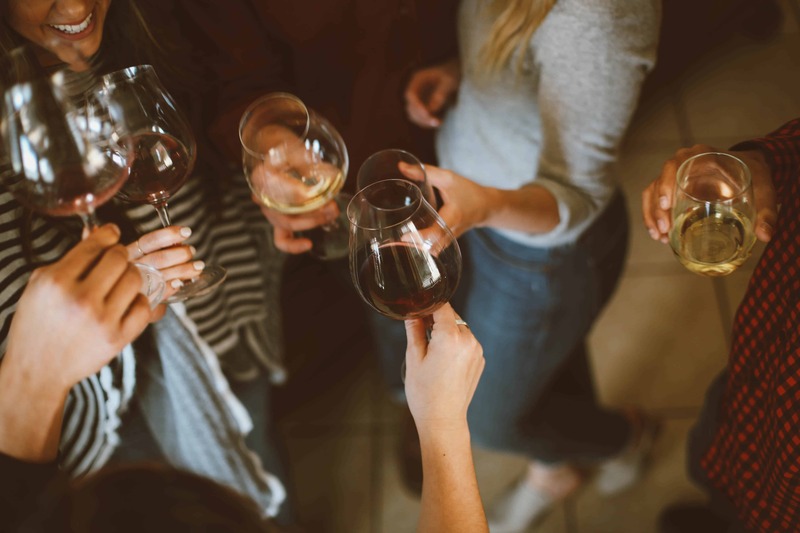 Springlicious will also feature beer and wine from throughout the Niagara region and a number of family-friendly activities that people of all ages will love. Tickets for this event are $25 per person and include movie pass, one glass of wine in a souvenir glass, and one bag of popcorn. Two brand new Fallsview restaurants have just opened on Falls Avenue Resort and are definitely worth a visit this summer. 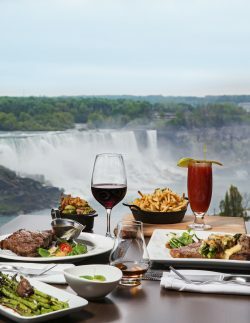 Prime Steakhouse inside the Crowne Plaza Niagara Falls – Fallsview hotel and Massimo’s Italian Fallsview Restaurant inside the Sheraton on the Falls both offer incredible cuisine and breathtaking views of Niagara Falls. Prime Steakhouse offers a menu of succulent steaks, fresh seafood, and other classic favourites while Massimo’s features authentic Italian cuisine in innovative and seasonal dishes. 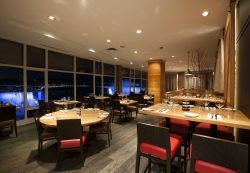 Both restaurants also offer extensive wine lists, hand-crafted cocktails, and some of the most spectacular dining that Niagara Falls has to offer. It’s a wonderful activity for people of all ages to enjoy and will bring you as close as possible to the mighty Niagara Falls! Mother’s Day in Niagara Falls at McFarland House. Mother’s Day is coming up on May 13th and in order to make it a spectacular day for the moms in your life, why not plan a visit to Niagara Falls to experience any one of these extraordinary destinations. This year, make it an unforgettable Mother’s Day in Niagara Falls! For an unforgettable Mother’s Day meal overlooking Niagara Falls, visit Massimo’s Italian Fallsview Restaurant located inside the Sheraton on the Falls hotel. Massimo’s Italian Fallsview Restaurant blends old world tradition with new world style and offers classic Italian cuisine and an extensive wine list that reflect Chef Massimo Capra’s distinctive connection to both Italy and Niagara. Book your reservation today to dine within view of one of the world’s most beautiful natural wonders this Mother’s Day. 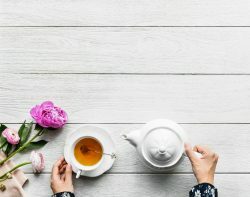 Treat Mom to an extraordinary afternoon in picturesque Niagara-on-the-Lake at McFarland House’s annual Mother’s Day Afternoon Tea. Built in the 1800s, McFarland House is a beautiful and historic property that will serve as the perfect setting for a Mother’s Day outing. The Mother’s Day Afternoon Tea will include traditional tea and freshly baked goods to be enjoyed in a beautiful Conservatory Tea Room. The Mother’s Day Afternoon Tea is on Sunday May 13th from 12pm-5pm. Call 905-468-3322 to make a reservation. Tour admission is $6 for adults and $3.90 for children. Give the gift of relaxation and wellness this Mother’s Day with a Christienne Fallsview Spa gift card. The Christienne Fallsview Spa is an award-winning spa located inside the Sheraton on the Falls hotel that offers a wide range of services like massages, facials, manicures, pedicures, and various body treatments, and also features sweeping views of Niagara Falls. You can book a special Mother’s Day treatment online or call 905-374-4445 ext. 4555. Beautiful blooms in Queen Victoria Park. And in spring, Queen Victoria Park comes to life with more than 500,000 beautiful daffodils in bloom along with magnificent Magnolia trees. It’s a wonderful place to go for a stroll or just spend some time relaxing this Mother’s Day in Niagara Falls. Experience VQA wines paired with grilled food creations on a Sip & Sizzle Wine Tour. 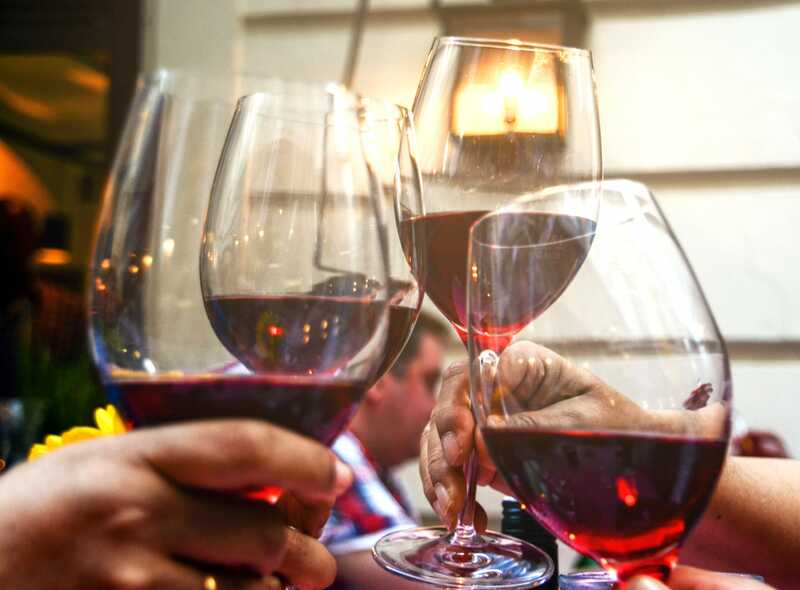 Sip & Sizzle is a wonderful spring event where more than 20 wineries in Niagara-on-the-Lake offer delicious grilled food paired with VQA wines during each weekend in May. And Magnificent Tours will help you discover the very best of this event on their Sip & Sizzle Wine Tour which will take you to six (possibly seven if time permits) wineries to experience the best barbeque and wine in Niagara. It’s a six hour tour experience that includes full transportation by coach bus and an expert tour guide. Chateau des Charmes for 2016 Rosé, Cuvée d’Andrée paired with house smoked salmon on an herb scone with cranberry compote. Ravine Vineyard Estate Winery for 2017 Gewurztraminer paired with Harissa grilled chicken thighs on K2 grain salad. PondView Estate Winery for 2016 Semi Dry Riesling paired with the best sandwich combination this side of Havana – grilled Cubana mojo pork slider on a brioche bun. Strewn Winery for 2014 Gewurztraminer paired with a Sizzling Sampler Trio: Tandori chicken, grilled pineapple and vegetable samosa. Wayne Gretzky Estates Winery for 2016 Wayne Gretzky Founders Cabernet Merlot paired with spiced pork chorizo sausage and 99 whisky mustard. Riverview Cellars for 2016 Bianco Riesling Gewurztraminer paired with Japanese gyoza, fried pork dumplings topped with wasabi mayo and soy. Book your tour tickets today and get ready to experience spring’s most delicious event! Don’t miss out on all of the excitement and start planning your Niagara Falls adventure today!